Recently one of the top wine bloggers in the world, David White of Terroirist.com, was in the Twin Cities. Over the course of dinner at Meritage (enjoying a wide range of delicious wines, with oysters of course) and an afternoon at The Wine Company (where we happily explored both the 2006 and 2010 Patrick Javiller Aloxe-Corton) we had a great discussion about wine communication, influencers, and the future of wine journalism. As somebody who has won some serious awards for his work, David is obviously at the forefront of these topics. If you do not yet follow David’s website, be sure to head over to terroirist.com and sign up for a daily email on the world of wine. Give us your elevator pitch … who are you and what is terroirist.com? I’m the founder and editor of Terroirist.com, one of the nation’s most popular wine blogs. I launched the site back in November 2010. I was already obsessed with wine by that point, spending virtually all my free time reading about wine, whether through books, magazines, message boards, or blogs. And I noticed some holes in the wine blogosphere, especially when it came to generalists. For instance, each day I’d scour the internet for interesting essays and articles — I had google alerts set up, was on a few listservs, visited dozens of blogs, etc. It always baffled me there wasn’t a single blog offering a daily roundup of wine news, edited by a human. Since my launch in November 2010, I’ve never missed a day. There also wasn’t a blog offering regular winemaker interviews — wine geeks love getting to know the people behind the wines. And I didn’t see many group wine blogs. By assembling a team of contributors, my site has been able to cover politics and trend stories, offer tasting notes, and break news. In many ways, I think my site has become a dependable product. Has the vision of the site remained consistent over the years? When I launched Terroirist, I wanted to offer something different from the countless blogs that were out there — and this mainly meant regular, frequent content. My goal was to develop a site with about a dozen bloggers that would cover absolutely everything — wine politics, news, profiles, events, trend stories, commentary, tasting notes, gossip, you name it. I’m thrilled with the success I’ve had so far, but I’m obviously not there yet. There’s no reason why a wine blog can’t have 3-5 interesting posts each day, and that’s still my vision for the site. The main challenge for me — and most wine blogs — is one of finances. It’s a passion play; the site doesn’t currently generate enough revenue to pay writers. So it’s hard to convince people to blog regularly — and stick to deadlines — when it’s a voluntary effort. What was your wine experience just before launching your site? I was a passionate wine nerd eager to learn about wine. Which is still an apt description of myself. I was first exposed to wine in a serious way in October 2007, when I visited Napa Valley with a few close friends. Fortunately, one of those friends knew enough about wine to put together an incredible itinerary for us, and one of our stops (Failla), something really clicked. When I returned, I decided that wine would become my new hobby. 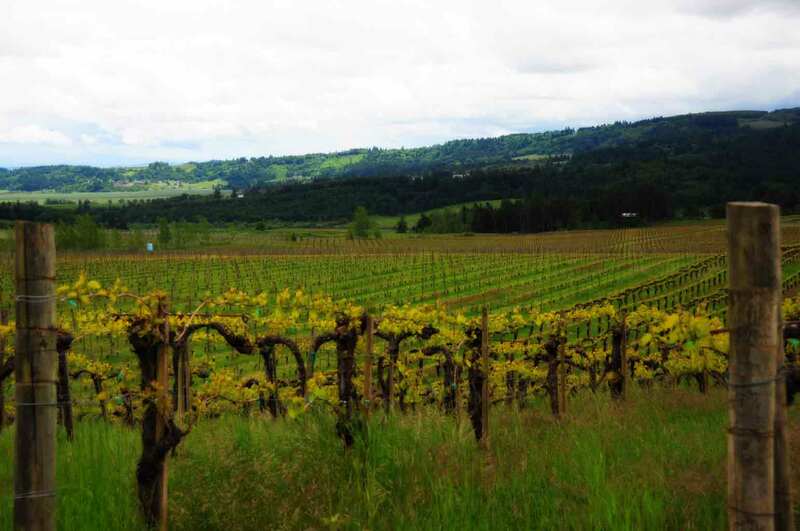 So I started planning more trips to taste wine — California, Oregon, Argentina. I started reading books, attending “offline” events with people from WineBerserkers, and taking WSET classes. You’ve seen many wine bloggers rise in the ranks of influence in the last few years. 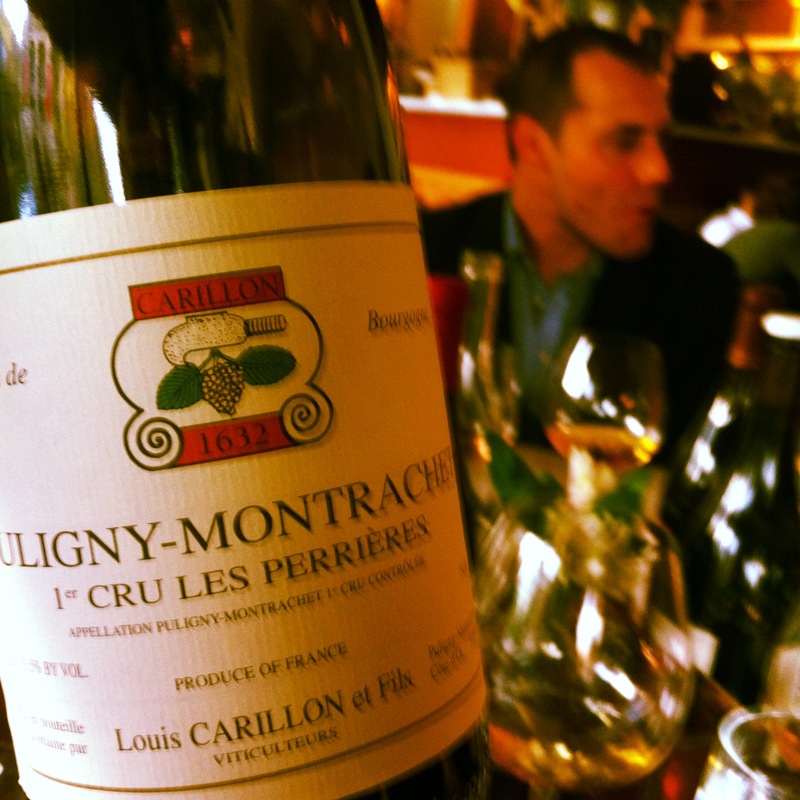 Who are the key wine bloggers you suggest people follow? When I started blogging, the leaders were Tom Wark (Fermentation), Alder Yarrow (Vinography), Tyler Colman (Dr. Vino), and Joe Roberts (1WineDude). All remain at the top of their games. In the last year, my favorite blog has become Elaine Brown’s Wakawaka Wine Reviews. Elaine generates a herculean amount of content, and everything she writes is a pleasure to read. Plus, her passion for wine comes through in her work — something that everyone strives for, but is quite difficult to pull off. Are there blogging or marketing conferences you regularly attend or suggest? The Wine Bloggers’ Conference is a great place to meet fellow bloggers and drink great wine — and the organizers have been working hard to provide more value to attendees. So I certainly recommend it. I couldn’t make this year’s conference, unfortunately, but I’m really looking forward to hearing about it. Another great event is the annual Symposium for Professional Wine Writers at Meadowood Napa Valley. It’s extremely expensive, but the organizers offer more than a dozen fellowships. So if you’re an aspiring wine writer, it’s definitely worth applying for one of those fellowships. I’ve heard great things about the European Digital Wine Communications Conference and will finally make my way there this year. If there are wine or food bloggers out there trying to make a go of it, what is your best advice? First, to quote Gary Vaynerchuk, “Content is the cost of entry to relevance in today’s society.” These days, I think it’d be virtually impossible to fashion yourself a “blogger” if you’re only updating your website every month or so. You need to constantly engage — write on your blog and elsewhere; look for opportunities (like this!) to promote your brand; banter with people on Twitter; have a strong, active Facebook presence. Second, do something unique. That might mean specialization, like positioning yourself as an expert on Beaujolais or Michigan wines. But there’s still plenty of room for generalists, so long as you’re doing something that no one else is doing. Looking into your crystal ball, what will wine journalism be like in five or ten years? Do you see a merging of professional reviewers and bloggers? I wouldn’t say I can envision a merging of professional reviewers and bloggers — I’d say that’s already happening. Wine consumers can still subscribe to the Wine Advocate, of course, but they can also check out CellarTracker. Wine consumers can still subscribe to Decanter, but they can also turn to a local resource. And those “professional” reviewers now feel obligated to blog. Steve Heimoff, Wine Enthusiast’s West Coast editor, loves complaining about bloggers and social media… on his blog and on social media. Antonio Galloni left the Wine Advocate to start a website. The list goes on. The barrier to entry is virtually gone, and the top writers and critics will rise to the top, just as they always have. Wineries (and especially wineries with PR and marketing budgets) seem to be tripping all over themselves for blogger attention. Do you think this is the right tactic for wineries to follow? Absolutely — so long as they do their research. I automatically and instinctively delete 95 percent of the press releases that end up in my inbox. If you’re interested in reaching out to a specific blogger, read his site before reaching out — find out what his focus is, which wines he’s interested in, etc. Whether it’s a wine sample or an article idea, don’t just spray and pray. 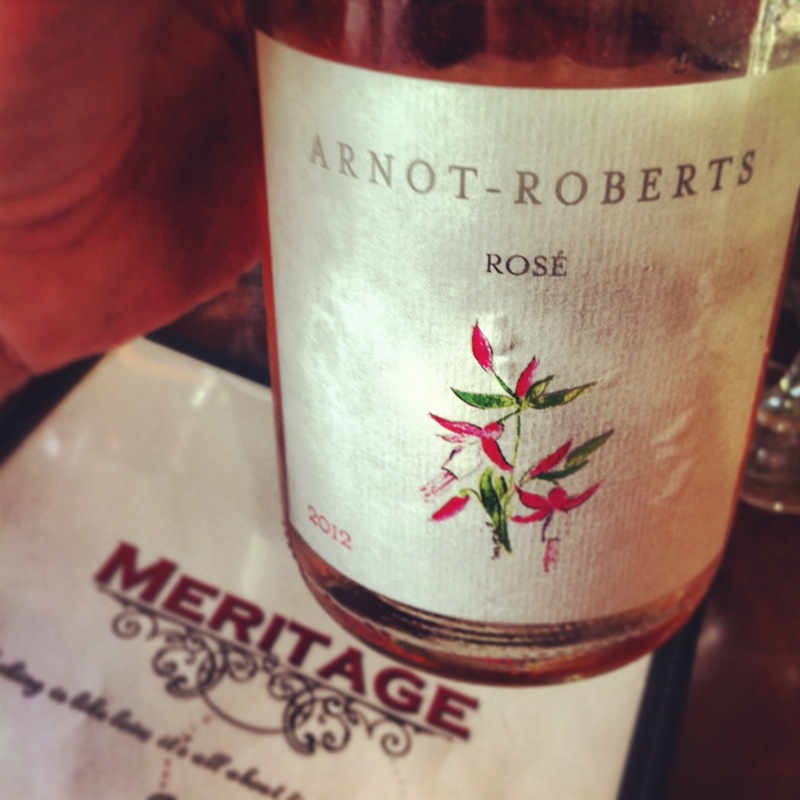 David brought a delicious bottle of Arnot-Roberts rose to enjoy at Meritage. Many thanks to David White for taking the time to enjoy some fine wines and conversation with The Wine Company! Look for more profiles of wine communicators coming soon — these are the people driving the bus of wine discussion around the world.